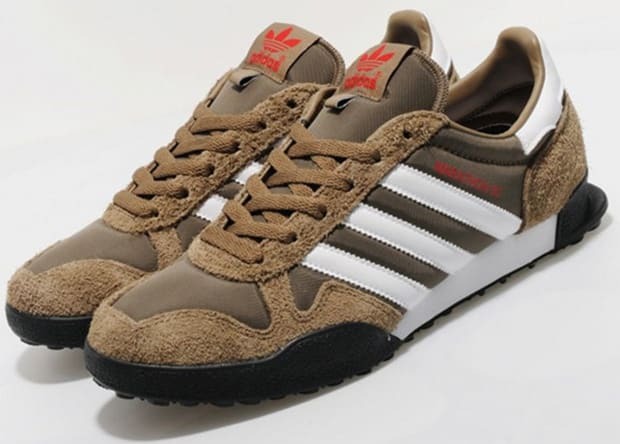 adidas Originals Marathon 80 "Khaki/Green"
Today the adidas Marathon 80 is looked at as more of a casual shoe, but back in the &apos;80s this was an elite trainer from adidas. This pair comes equipped with a mix of rough suede and mesh on the upper which sits on a rugged rubber sole. The colorway takes on mostly khaki and green with white and red accents mixed in. You can grab these over at Size? today.